Now Offering a Fall Special! 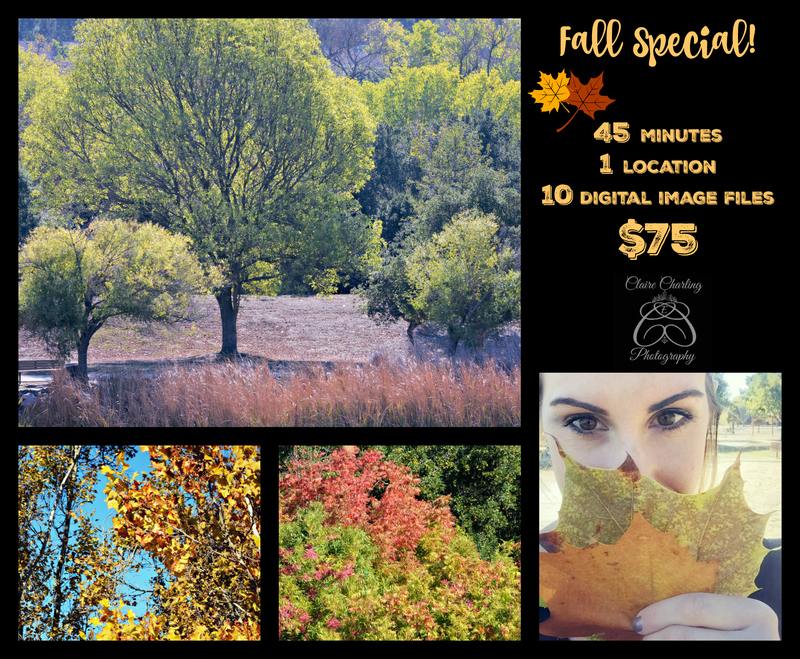 I have decided to offer an autumn special pricing this year for the first time! It’s a great way to score a session for under $100. I am booking very quickly so if anyone is interested in getting their holiday photos or any other sessions done before the end of the year- don’t wait to inquire! Also, I am working on modernizing and streamlining my image delivery and proof reviews for clients to make the process more convenient. Look out for some updates to my policies soon and a more client-friendly interface ❤ As always, you can follow me on facebook: Claire Charling Photography or on twitter: @clairecharling for more updates. Photo sharing is permitted from all my social media sites with watermarks intact & photo credits given please! I am still planning on continuing to post high quality session highlights, articles & pretty photos of my adventures on this site as well. Gallery photo files on this site cannot be shared or downloaded but the links to view the whole posts in my blog may be shared. Thank you for over 5k hits this year!